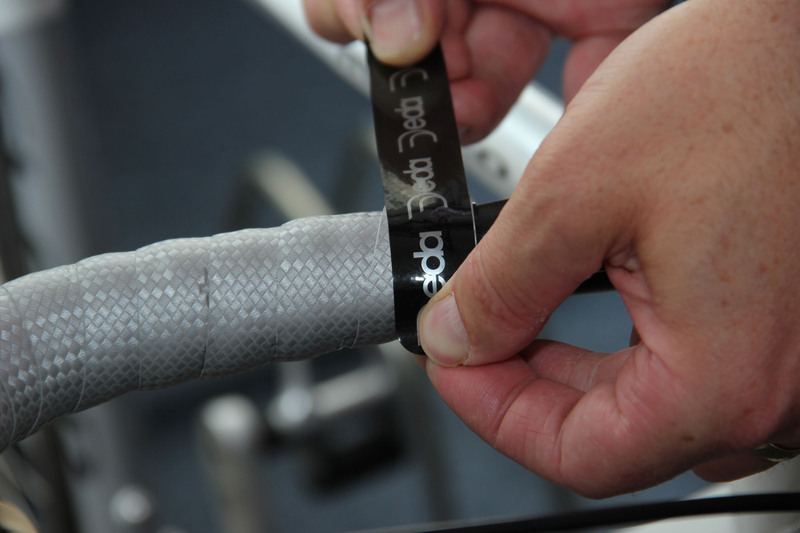 Among the easiest and least expensive ways in which you can give your bike a facelift is to replace the bar tape. 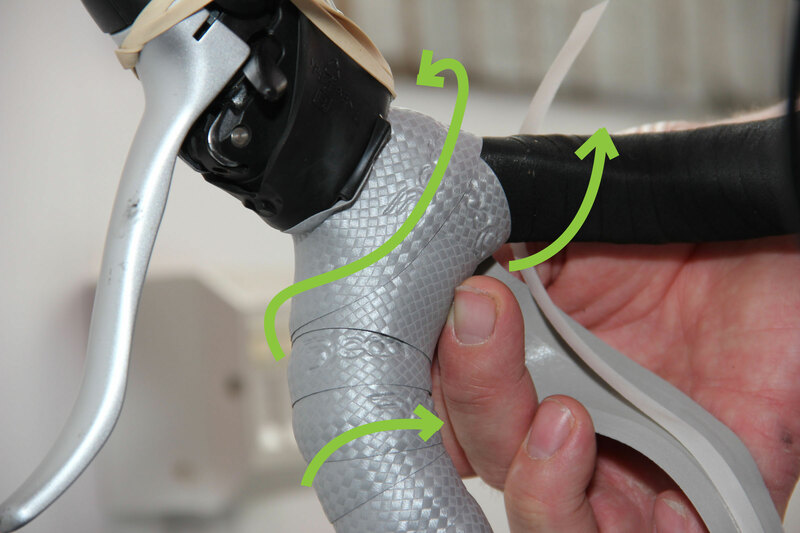 Over time bar tape gets worn or damaged (especially if you have had one of those shambolic ‘failure to unclip’ moments), or sometimes it shifts along the bars so that gaps open up between the tape. 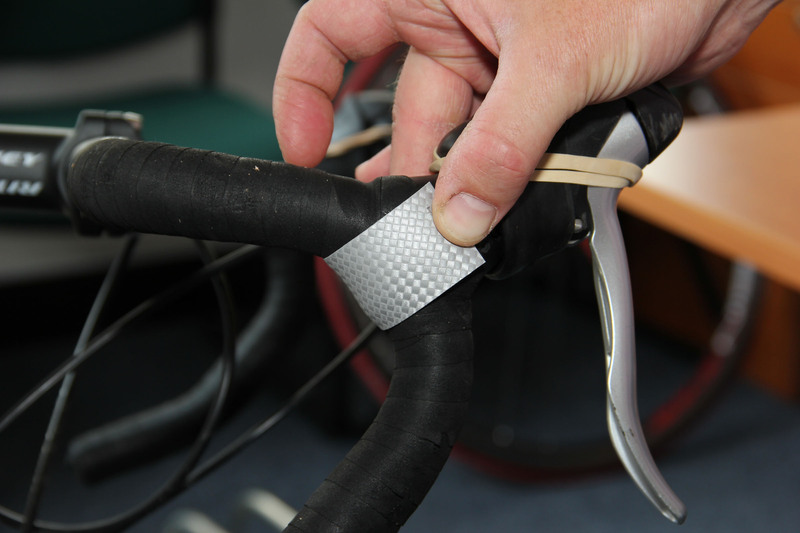 A decent fitting tape will aid comfort and control whilst keep your bike looking in tip-top shape, so here is how you go about it. 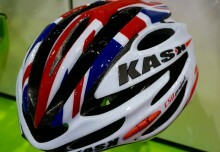 Firstly, decide how many layers of bar tape you want. 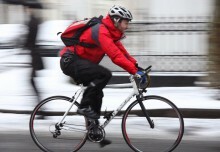 Most bikes roll out of the store with a single layer though it is quite common amongst cyclists to double up. 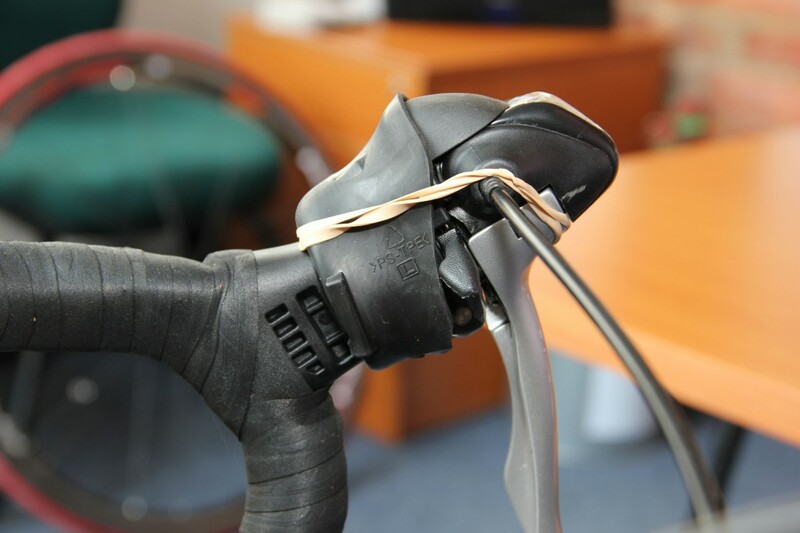 If the existing layer of tape is in reasonable condition (not too rucked, torn or separated) then going over the top could work, but it might be better to clean down to the bars and start afresh. 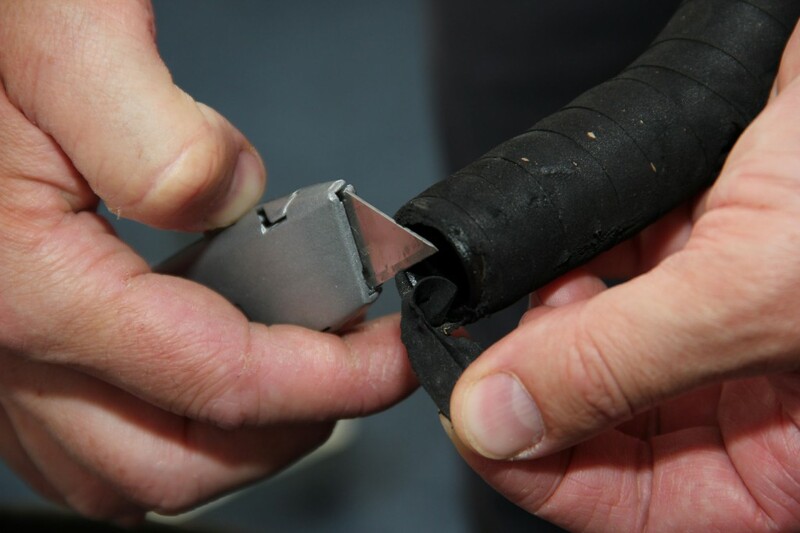 In this article I am putting a second layer over the top of some existing tape to give a slightly chunkier and more padded grip. 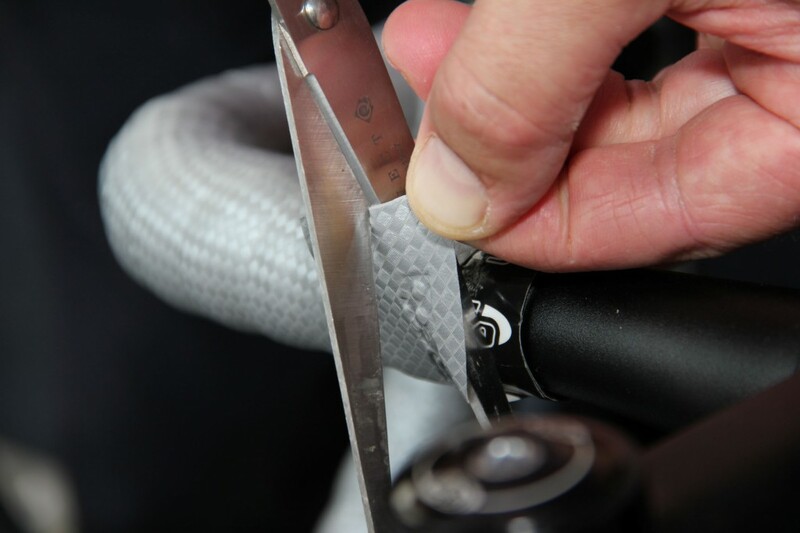 Peel back the rubber cuffs that cover the shifters so that you can wrap the tape underneath. It may be that the rubber wants to keep springing back to its normal position so this is where the elastic bands are useful – use an elastic band on each side to hold the covers out of the way allowing you to work. 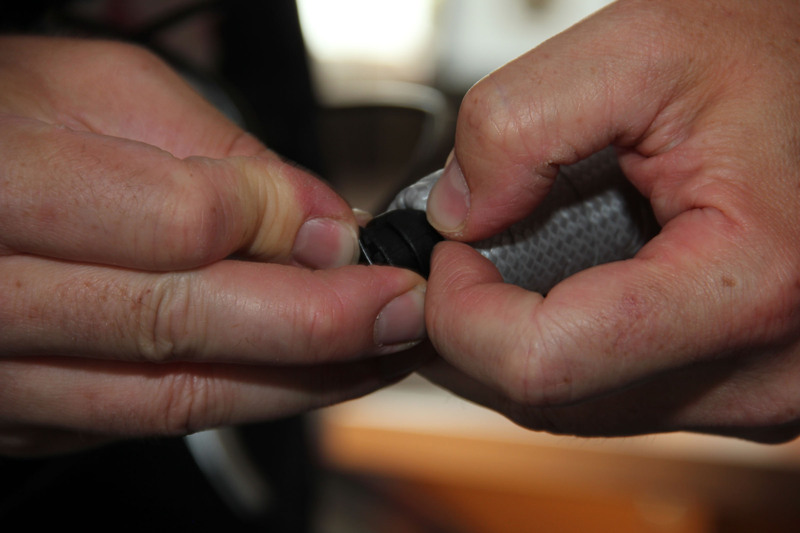 If you are fitting over the top of some existing tape then you would be advised to trim that portion of the tape that wraps inside the bar ends otherwise you might have a good deal of trouble getting the plugs it in at the end. Depending on the tape that you have chosen, the way in which it adheres to bars will vary, in this case you can see that the tape has a central adhesive strip that will peel away as the tape goes on. 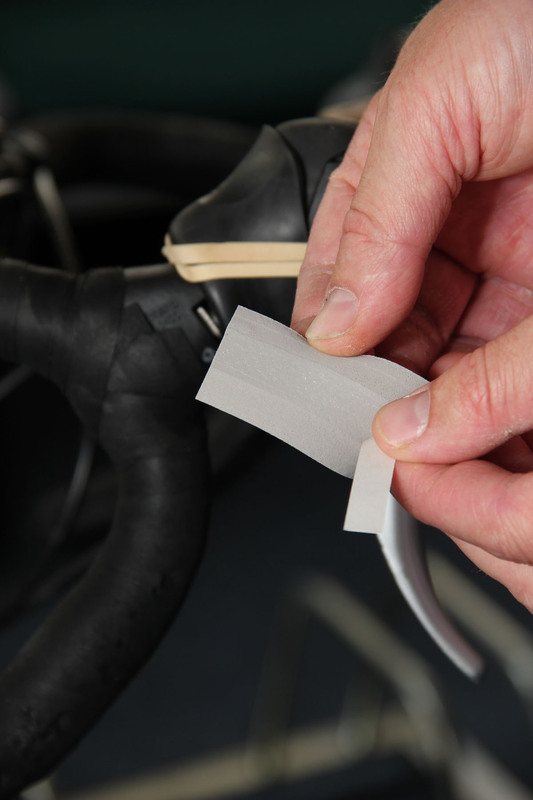 The first piece of tape to go on is one of the short pre-cut strips that go in underneath the shifters. 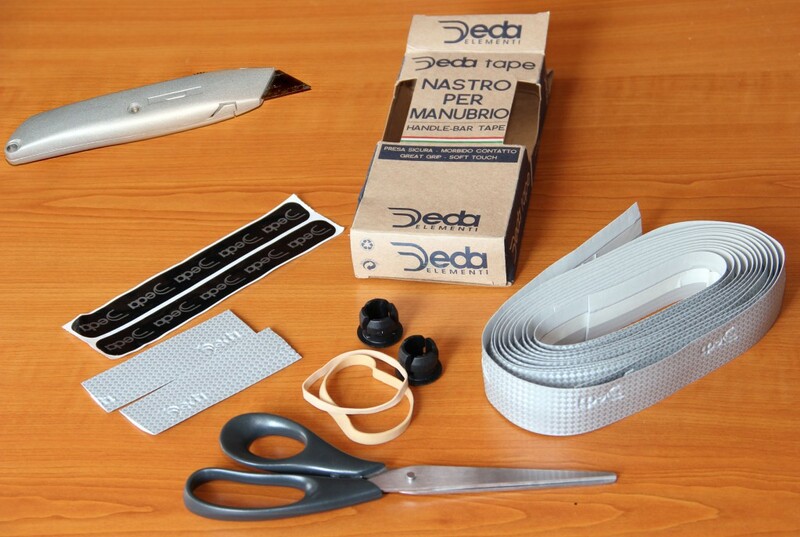 If the tape you have purchased doesn’t have these strips included, simply cut a couple lengths about 8cm (3”) long from the main roll. 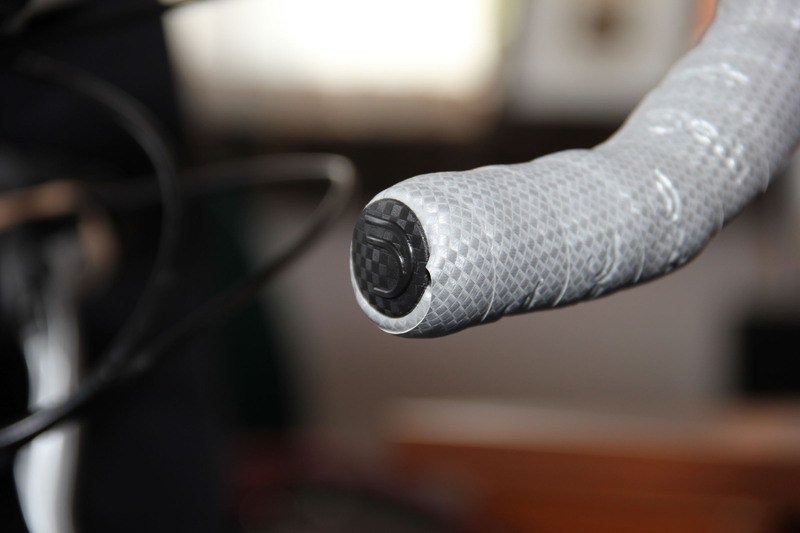 When you start to wrap the main tape around the bars make sure that you leave sufficient overhang at the end to be able to completely cover the end of the bars, this will then turn up inside to be held in place with the bar end plugs. 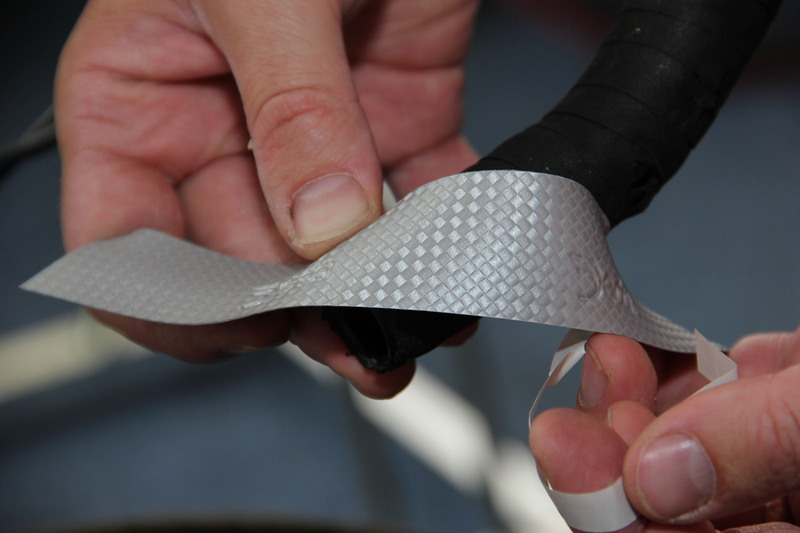 Wrap the tape up over the bars keeping plenty of tension in the tape so that it doesn’t ruck or buckle as you twist it around and ensuring that with each turn you secure around one-third of the width of the tape as overlap. Keep going up to the point of the shifters. 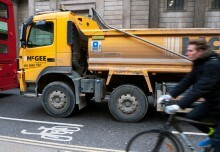 Upon reaching the shifter, this is where care needs to be taken to cover the bars in their entirety – when you pull the tape round and over the short strip that you fitted underneath, go round the back of the shift and use it as an anchor to pull against when completing the run across the top bar. Once you have wrapped the tape across the top bar towards the centre, take it to the point where it will stop. This will typically be around 6-8cm from the stem and may well be marked by a slight change in the moulding of the bars which creates a small lip to stop against. 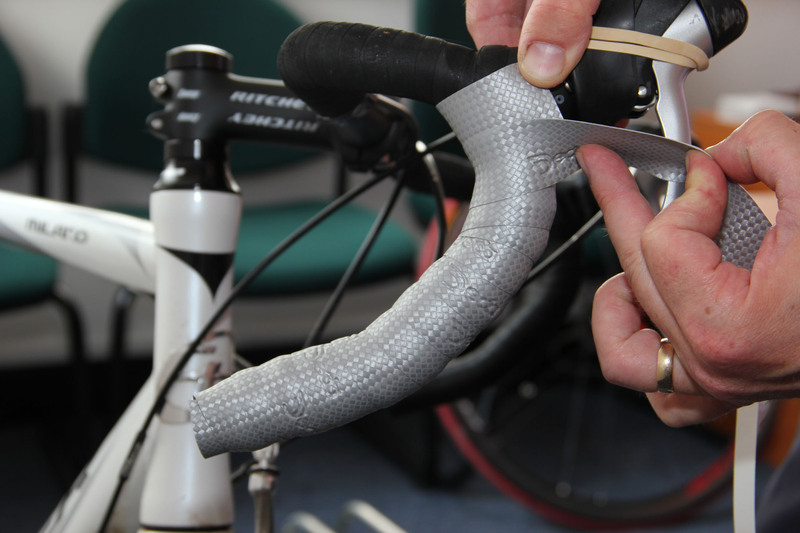 To get a neat finish cut a tapered end which will sit squarely across the bars and will be completely covered by the finishing tape. Finally, the end plugs need to be inserted making sure that as much of the excess tape is pushed in ahead of it giving a tight and tidy finish. All that is now required is to repeat the process on the other side and you have got a great looking set of bars.